Teen drivers are a unique class of motorist. Not only are they new to the road, many are imbued with the false sense of invincibility we all fondly look back on from time to time. The passion for life and discovery is an admirable quality, but it does not necessarily translate into safe driving habits. Luckily for parents, they can control what automobile their teen drives. This typically means a hand-me-down or used vehicle with hundred of thousands of miles on it. However, old and reliable does not necessarily equal safe. Automobile safety relies on a variety of technologies designed to minimize the chance of damage from an accident. Modern cars are outfitted with everything from side airbags to anti-rollover systems. The reason that parents should consider purchasing newer vehicles for their teens is that they come with advanced safety technologies as compared to used vehicles. For example, side airbags are now standard on a number of makes and models. Electronic stability control is slowly becoming a standard safety feature on all new vehicles. It applies the brakes and assists steering in the case of an unexpected swerve or loss of traction. However, if you are looking at used cars that are more a few years old, chances are ESC will not be included. The savings from buying a used car can come at the cost of safety. The Insurance Institute Highway Safety compiled a list of 55 of the top rated cars for teens that are both safe and affordable. The list of the safest cars for teens include a variety of makes, models, and price ranges. It is broken up by the category of vehicle. Volvo makes the list a number of times. Its reputation for safety innovations is well known. For example, the Volvo S80 is a large four-door car with excellent safety ratings. You can find a used model (2007 and later) for around $9,000. Ensure that it comes with all the safety trimmings, and you can put your teen on the road with peace of mind. People tend to think larger is better. Midsize SUVs are a perfect combination of sleek design and safety. 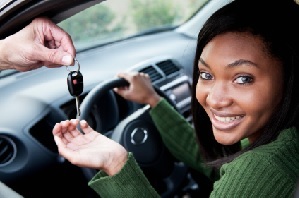 Your teen will not feel like he or she is driving a family wagon but will also feel safe. Typically, domestic manufacturers are a step behind in the safety innovations department. If you are bent on buying “Made in America,” you could look at a 2011 or later Chevy Equinox, Dodge Journey, Ford Edge or Flex, or GMC Terrain. These range from $12,000-$16,000. The bottom line is that all of these vehicles combine modern safety innovations, high safety ratings, and low power. No matter how you look at it, teens are one of the most likely demographics to cause an accident. Hagen Law is here to help make the road safer, and hopefully make accidents hurt a little less, with reliable personal injury representation.